Migraine headaches (or migraines for short) are severe headaches that are neurologically based and usually associated with additional symptoms such as nausea, vomiting, auras (blurred peripheral vision, usually before the onset of a migraine headache), and increased sensitivity to light and sound. Migraines can range in intensity from mild to completely debilitating, and can last anywhere from several hours to several days or more. Occasional migraines are obviously an inconvenience, but those who experience severe migraine headaches on a more consistent basis can find it very difficult to function on a daily basis. Migraine headache sufferers have been known to stay in bed in a dark room for hours, or even several days, at a time. Medications to treat migraines are not always effective right away, and medications themselves can cause significant side effects such as dizziness or drowsiness. If you are suffering from chronic migraines and you have a long term disability insurance policy, here is what the long term disability insurance company will look at in determining whether your migraines reach the level of a disability. There are no exact guidelines that must be satisfied in order to qualify for disability due to migraines. 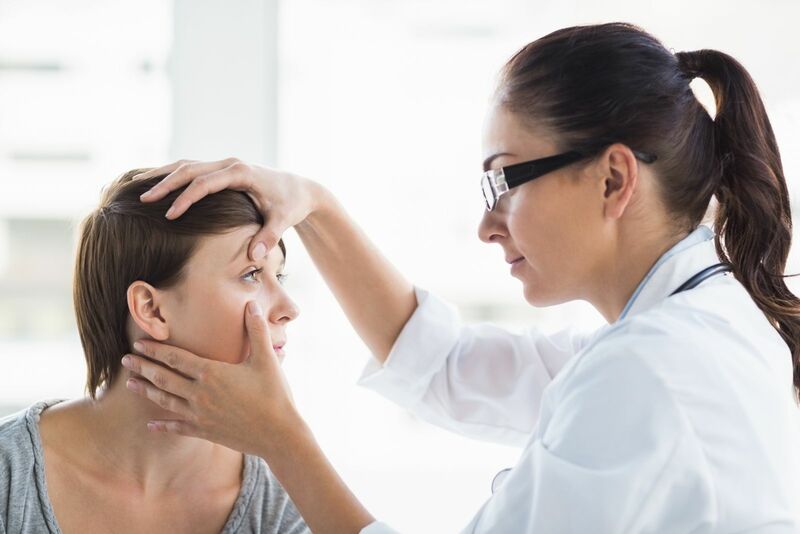 In general, however, you must prove to the insurance company that your migraines affect your level of functioning to the point where you cannot perform basic work activities on a regular basis. In order for the insurance company to conclude that you are unable to work, you must experience significant limitations in things like concentrating, understanding and remembering instructions, difficulty in interacting with others, lifting and carrying weight, walking, and standing. The insurance adjuster handling your claim will take into consideration the frequency of your headaches and how often you would need to miss work due to your migraines. Moreover, the insurance company will also consider any other conditions you have that further limit your ability to work in conjunction with your headache disorder (for example, if you have a back injury that prevents you from bending). When you apply for disability, the long term disability insurance company evaluates your ability to perform work activities. To be approved for disability, it is important that you have obtained regular treatment for your migraine headache disorder. Although the insurance company will consider your subjective reports of your symptoms, they are most interested in objective medical evidence filed in support of the claim. There is no definitive test to diagnose migraines; however, the insurance company will want to see in your medical records that your doctor has diagnosed you with recurrent migraine headaches. Migraines are often diagnosed based primarily on the patient’s reporting of their subjective symptoms and in the presence of a family history of migraines. However, doctors may also order additional tests, such as an MRI or CAT scan to rule out other causes for the headaches. records from any ER visits or hospitalizations related to your migraines. The insurance company may also ask your doctor(s) to complete a report or questionnaire regarding your medical diagnosis and resulting limitations. In some cases, the insurance company will also seek input from family members or friends who are around you on a frequent basis. Treatment for migraines usually centers around pain medications, injections (such as botox injections), anti-nausea medications. Most medications are taken after onset of a headache. However, some medications may be taken “prophylactically” (regularly) to reduce or prevent migraines. Doctors may also prescribe other drugs, such as beta-blockers or anti-depressants, to help alleviate the negative symptoms from headaches. You should be prepared to go through a tough fight to win an approval of benefits due to a migraine headache disorder. Many Long Term Disability claims for chronic migraines are denied, especially if there is not an overwhelming amount of medical evidence to supports the fact that one’s migraines have a severe impact on one’s ability to work or perform activities of daily living. While you are preparing your claim, it is a good idea of keep a journal of your migraines, noting the duration, symptoms, and severity of each occurrence. You should also note all the daily activities which are affected by your migraines. Even if you think something is relatively minor – such as whether you can sit or stand in one place for extended periods of time – these limitations can have an impact on whether you are deemed totally disabled by the insurance company. Note: Although this claims examiner will request copies of your medical records directly from your medical providers, you may obtain your records and provide them yourself. If you are approved for benefits, you should receive your benefits. However, if the insurance company denies or terminates your claim, you have the right to file an appeal of the denial letter. An experienced attorney can help you with your appeal. Mr. Ortiz is an experienced long term disability lawyer. Call 850-308-7833 to discuss your rights today.